We are pleased to announce a gorgeous litter of 6 Newfiedoodles born December 7th. 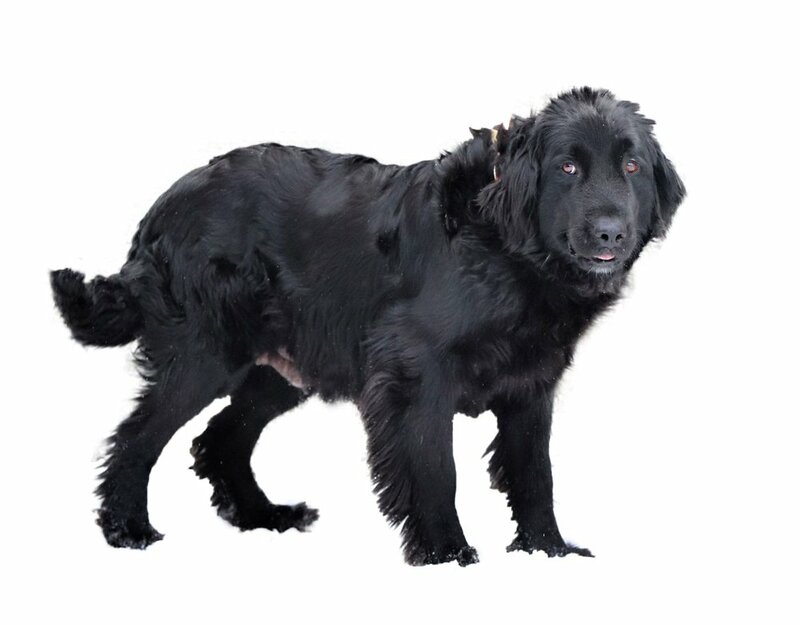 Based on their 84 pound Newfoundland mom (Carla) and 68 pound Poodle dad (Miles), we expect this litter of puppies to be 60 - 90 pounds fully grown. These puppies embody the Newfiedoodle “gentle giant” temperament and love playing with each other! We believe they will make outstanding family members for a few fortunate forever homes. Mona Lisa is a gorgeous Newfiedoodle with mostly black fur that has a cute white accent on her chest. She is an affectionate, gentle puppy who has a terrific temperament. We adore her and know her forever family will as well! Myrah’s dark chocolate coat is super thick and soft, with a white blaze that runs down her chest. She draws the eye of everyone who meets her and steals their heart with her sweet personality. She loves to be loved and will be a perfect companion! Meet Marcia, a beautiful Newfiedoodle girl with glossy black fur. She is an easy-going puppy who’s loving nature is infectious and endearing. Marcia is also super smart and will easily become a beloved member of a lucky forever family! Milly is a chocolate and white Newfiedoodle with a wavy, soft coat. She loves to nuzzle into us after having fun with her siblings. Milly is very sweet and loyal. She is a happy, loving puppy who will be a wonderful companion! Mario is such a handsome Newfiedoodle! He has gorgeous black markings and thick, shaggy fur. He is very gentle with his family and loves to please. Mario always brings a smile to our faces and we know he will grow into a fantastic furry family member! Mocha is a stunning chocolate Newfiedoodle with bright, intelligent blue eyes. He has a go with the flow kind of attitude with a huge heart and a very loyal nature. Mocha is affectionate, loyal and extremely handsome; his forever family will be very lucky indeed!